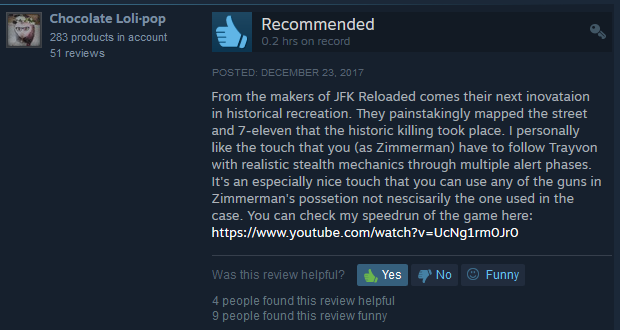 Ayo, hol' up. 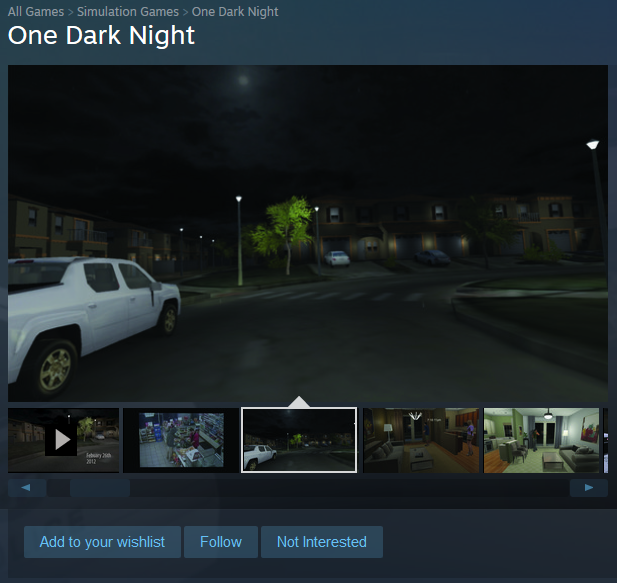 It seems in late December 2017, a game called One Dark Night was released on Steam for free. 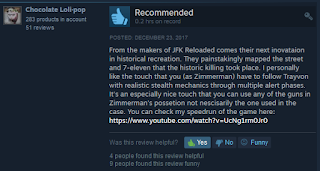 As far as I can tell, this is not actually a game, but a recreation of the night Trayvon Martin was killed in a classic case of self defence (as proven in a court of law by a jury of citizens). 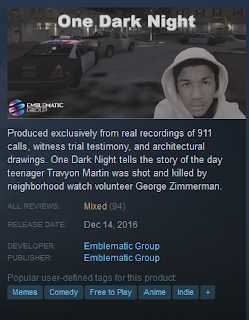 Produced exclusively from real recordings of 911 calls, witness trial testimony and architectural drawings that provide the exact layout of both interiors and exteriors of the condo complex, One Dark Night tells the story of the day teenager Travyon Martin was shot and killed by neighborhood watch volunteer George Zimmerman. By anchoring the piece in accurate and unassailable elements, the user becomes transported inside a reliable, albeit virtual, version of the story as an eyewitness. 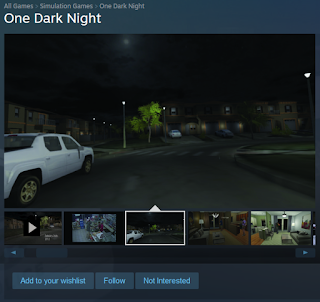 One Dark Night breaks new ground on multiple levels, including through audio carefully cleaned by forensic specialists Sourcesound and Primeau Productions, with the latter asserting that the reconstructed audio indicates George Zimmerman cocked his gun just before he gave chase. 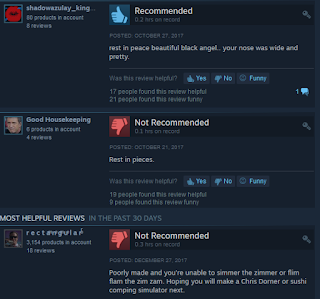 I have not played it, nor do I plan to - it seems there's a lot of games on Steam that exist solely for shock value and/or some kind of artistic statement. Judging from the game's description alone, there's a lot of speculating and assumptions that seem to favor Trayvon's side of the story. 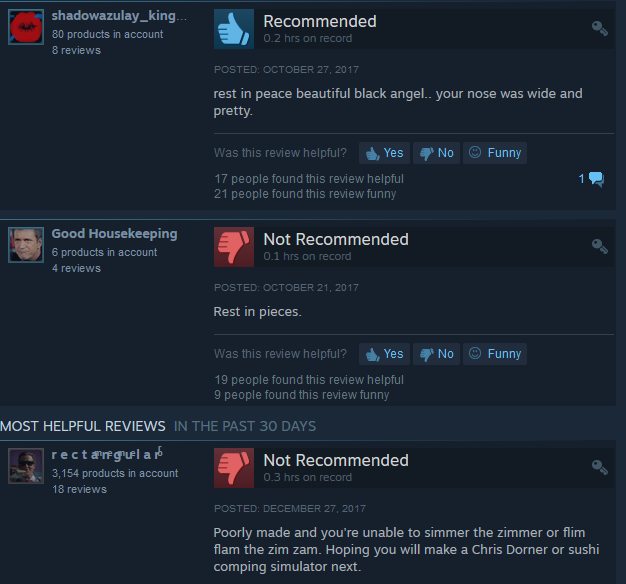 At least the reviews are kind of funny.